What do you want your smile to say about you? Do you smile with confidence? Have you ever wanted to straighten your crooked teeth but never wanted to wear the metal braces? Well now you can! With Invisalign technology, now you can straighten your teeth without anyone even noticing. It is comfortable, predictable and allows you to get your teeth straight while still being able to enjoy doing the things that you love. 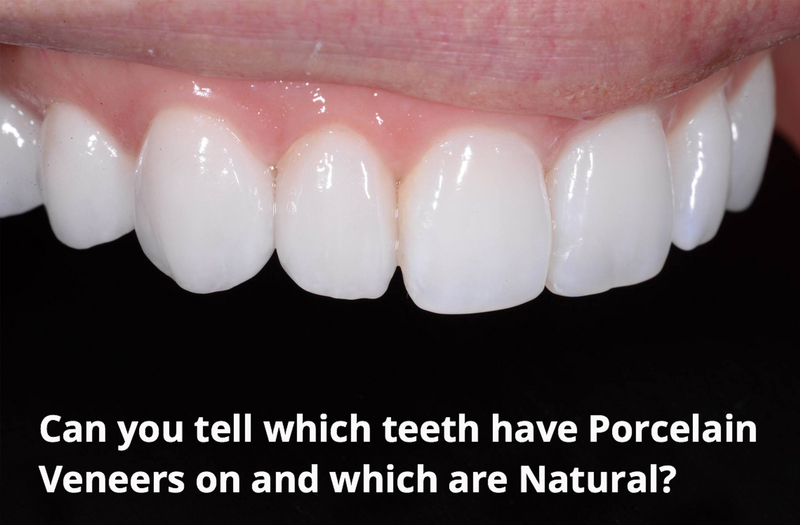 They have been called “invisible braces” and “clear braces”. A virtually invisible and hygienic treatment, Invisalign uses unique SMARTForce Technology to create a series of custom-made removable aligners for you and only you. All you have to do is to wear these aligners, made of a virtually invisible plastic, over your teeth to gradually move them to the ideal position. These aligners are to be worn 22 hours a day, you can remove them for eating so you can virtually eat any food you like. You also can remove them for special occasions if needed. This then allows you to continue to do the things that you love. 1. You can eat the foods you love. Invisalign : As you get to remove the aligners to eat, you can continue to eat the foods you love. There are no restrictions on eating as you do not eat with the aligners on, so you can virtually eat anything you want. Traditional Braces: As these are not removable, there are many food restrictions with these on as they are difficult to clean, eg Sticky foods get stuck around brackets and wires like chewing gum, so are best to avoid. Also you cannot bite in to sandwiches or had bread rolls, carrots, apples, etc for fear of breakages of wires or brackets. Invisalign : Teeth and gums are easier to keep clean then wires and brackets. It is easier to floss around teeth and gums without having to thread the floss under wires etc. If you have a special occasion coming up, you can remove the aligners and celebrate and then continue with treatment afterwards. Invisalign : if you have a special occasion coming up, you can remove the aligners and celebrate and then continue with treatment afterwards. Traditional Braces : These brackets and wires are fixed and not able to be removed easily mid treatment. 4. Invisible vs Metal wires and brackets. 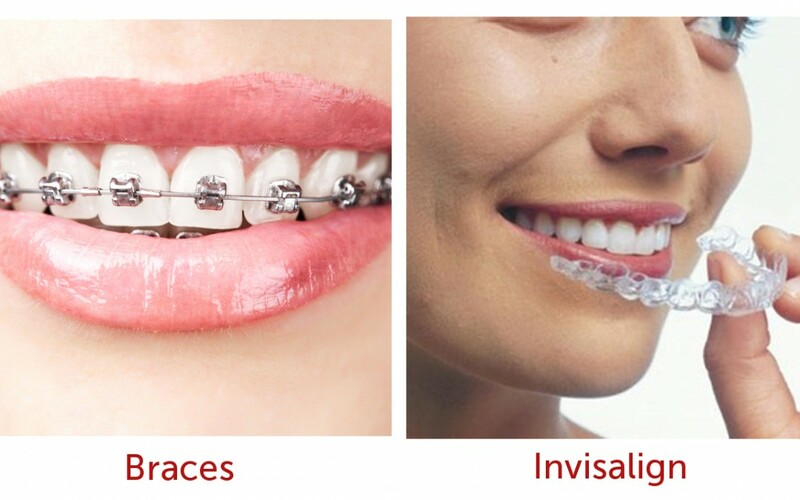 Invisalign : these are virtually invisible so our clients are able to smile with confidence while under going treatment. 5. Continue your active lifestyle. Invisalign : during sport you do not have to worry about getting your lips or cheeks ulcerated and lacerated by the wires and brackets. Your treatment will not be affected by an active lifestyle. You can continue to wear your aligners or mouthguards during exercise. Traditional Braces : these can cause ulceration of the lips or cheeks as these rub against and get caught on the rough brackets and wires. Invisalign : with SmartTrack and SmartForce technology it allows invisalign to straighten teeth predictably, safely, and more comfortably. The aligners can be removed for eating so you can eat what ever food you choose. There are also no metal brackets or wires to get hooked on to your lips or gums or cheeks. Traditional braces : Each time the braces are tightened, there can be discomfort for 3-4 days after each tightening. Metal brackets often get hooked on lips, cheeks and can cause uncomfortable ulcers. Invisalign : we usually have to see patients only every 6-8 weeks. Traditional braces : Wires need to be tightened more often generally usually every 3-4 weeks. 8. Visualise the result before you even begin. Invisalign : with the use of Clincheck Pro, you can watch your entire treatment process and see the results before you even begin. You can monitor the progress every step of the way. Some patients may require additional steps like refinements to refine the treatment at the end. Traditional Braces : There are no tools for you to visualise the end point before treatment. 9. Know your expected treatment time up front. Invisalign : with the use of the Clincheck Pro, you will know exactly how long your treatment will take from start to finish and track your progress every step of the way. Traditional braces : You will only get an estimate of the treatment time at the beginning. 10. 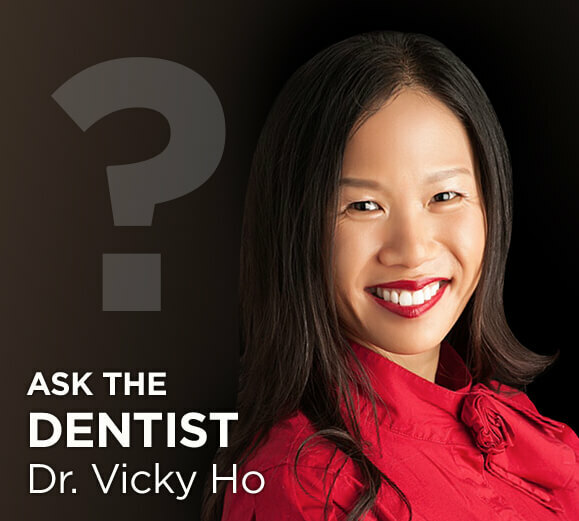 What is the treatment process for Invisalign? We do a thorough examination to be able to come up with a diagnosis if Invisalign is right for you. We take intra and extra oral photographs, and discover what it is you want to achieve from treatment and we also do an examination for overall dental health. X-rays and impressions will be taken to be used for treatment planning. The manufacturers of Invisalign will use the records and prescriptions of the doctor to create a customised 3 D treatment plan just for you. You get to view the entire treatment process from the start to the end and see the result you will get. You will also know exactly how long the treatment will take. The customised aligners are manufactured and shipped to our office. Your aligners will be issued to you every 6-8 weeks. You wear each set for 2 weeks and change them over. You will wear them for 22 hour a day and maintain excellent oral hygiene. • Visits to the office. You will need to visit the office every 6-8 weeks to monitor and check on your progress. At each progress check we will give you your new set of aligners. At the end of the treatment we will keep your straight teeth straight by using Vivera retainers which have to be worn full time like your aligners for at least the time it took to straighten the teeth. Then Night time for a life time.